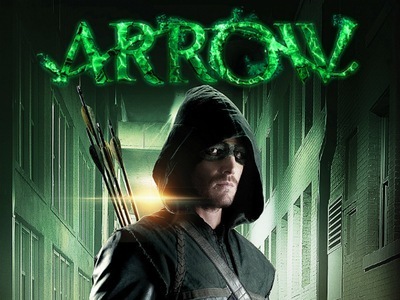 Word is out today that Arrow will be coming to an end after its upcoming eighth season. The action drama is the network's longest-running superhero-based series, with its success helping pave the way for the likes of The Flash and Legends of Tomorrow. Star Stephen Amell took to Twitter with the news, which does not come as a complete surprise given the show’s age. Once a flagship of The CW, Arrow's ratings have tapered off over the years. But at over 150 episodes, that is to be expected. And yet, it still draws decent numbers for the network compared to its other prime time entries. Yearly crossover episodes with fellow DC series also help boost its viewership. The CW announced today that Arrow has been renewed for an eighth season. The long-running action drama is the network's longest-running superhero-based series, with its success helping pave the way for the likes of The Flash and Legends of Tomorrow. Once a flagship of The CW, Arrow's ratings have tapered off over the years. But at nearly 150 episodes, that is to be expected. And yet, it still draws fairly good numbers for the network compared to its other prime time entries. Yearly crossover episodes with fellow DC series also help boost its viewership. New Character for Arrow CrossoverTyler Hoechlin and his frighteningly flawless jawline will return as Superman to The CW’s Arrow-verse for the network’s annual superhero cross-over and he’s bringing an iconic character with him. This year’s mash-up of Arrow, The Flash, and Supergirl—which will air between December 9 and 11—will introduce Lois Lane to the small-screen DC Comics universe. Casting is currently underway. Hot on the heels of Willa Holland exiting Arrow, Colton Haynes has signed on to return as a series regular for season 7. Haynes, who joined the series midway through season 1, became a series regular in season 2 but left the show in season 3 — Roy Harper, a.k.a Arsenal, faked his death, taking the fall for being the vigilante then known as Arrow to protect Oliver. The CW announced today that Arrow has been renewed for a seventh season. The long-running action drama is the network's longest-running superhero-based series, with its success helping pave the way for the likes of The Flash and Legends of Tomorrow. Once a flagship of The CW, Arrow's ratings have tapered off over the years. But at 131 episodes, that is to be expected. And yet, it still draws fairly good numbers for the network compared to its other prime time entries. All told, The CW now has five series on the air from the DC Comics universe. Today's announcement included the renewals of all of those shows, which will return for the 2018-2019 season. Camp and Lucifer alum Liam Hall has been tapped to play the son of Manu Bennett’s reformed villain, who will appear in the two-part Slade Wilson adventure first teased at Comic-Con. The son of one of the Green Arrow’s greatest foes, Joe Wilson has followed in his father’s footsteps by joining the secret Australian military agency, A.S.I.S. After years of brutal combat, Joe now finds himself in a remote Kasnian prison under the alias, Kane Wolfman, fighting for his life. Two of Arrow’s Season 5 recruits have been promoted to series regulars for the show’s upcoming sixth season. First up, Rick Gonzalez who has been playing Rene Ramirez/Wild Dog. Juliana Harkavy aka Dinah Drake is also being upgraded to series regular. These two new additions join Katie Cassidy who is returning as a Season 6 series regular as the Black Siren. Arrow Renewed For Season 6 The CW has announced that all four of its DC superhero shows will return for the 2017-2018 season. Arrow, Supergirl, The Flash, and Legends of Tomorrow were all renewed for next season. Lexa Doig Cast as Talia al Ghul Lexa Doig (Continuum, Stargate SG-1) has been cast in the major recurring role of the half-sister of Nyssa (Katrina Law). Described as "worldly and cultured, an elite warrior who doesn't pick sides but rather creates her own," Talia is an expert hand-to-hand fighter, extremely well-trained in most weapons and highly intelligent. She will first appear in episode 10 and will recur in multiple episodes this season. Harkavy has nabbed the recurring role of Tina Boland, a detective formerly of Central City. The character is described as "brash yet tactful, tough, speaks her mind, and is not the easiest person to impress." Boland is definitely not a fan of vigilante's like Oliver Queen's Green Arrow and his new team of recruits. The '80s superstar, best known for roles like Rocky IV, Universal Soldier, and The Expendables, will return to TV to play the head of the Bratva (Russian mob) in the flashback sequences.According to showrunner Marc Guggenheim, this is the last year that there will be flashbacks, so presumably at the end of the season, Oliver's rescue from Lian Yu will be reflected. The character is a longtime DC vigilante who wears a patchwork suit made by his father to fight crime. The suit has the ability to absorb corrupted souls, and once absorbed Ragman can call on their abilities at any time. While it increases his strength and speed, initially absorbing the soul takes a great deal out of him.